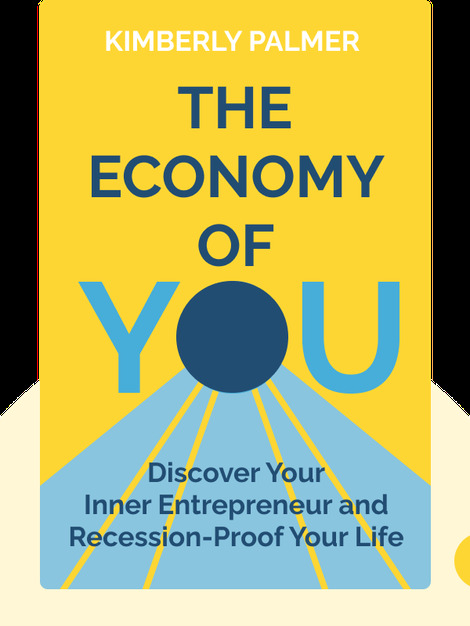 The Economy Of You (2014) is your guide to establishing and maintaining additional sources of income. From seeking out opportunities and developing networks to finding your audience and facing new challenges, these blinks provide you with the tools you need to do what you love without leaving your full-time job. 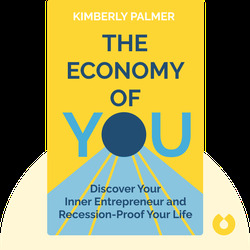 Kimberly Palmer is a blogger for U.S. News & World Report whose expertise in money management has made her a sought-after guest on NBC, CNBC, CNN and other networks. Palmer has written articles for newspapers including The Washington Post and The Wall Street Journal.